Haaaaaaaaaaaaaaaul. Yeah, it’s one of those posts. I was going to include the couple of bits I bought the other day, but I forgot to photograph them, so it’ll just be the stuff I got today. It’s not a massive haul, really, but it was payday yesterday and I decided to get a few bits. Some bits that I needed, some bits that I wanted, and more or less all bits I could have made do without (except one…) but there you go! 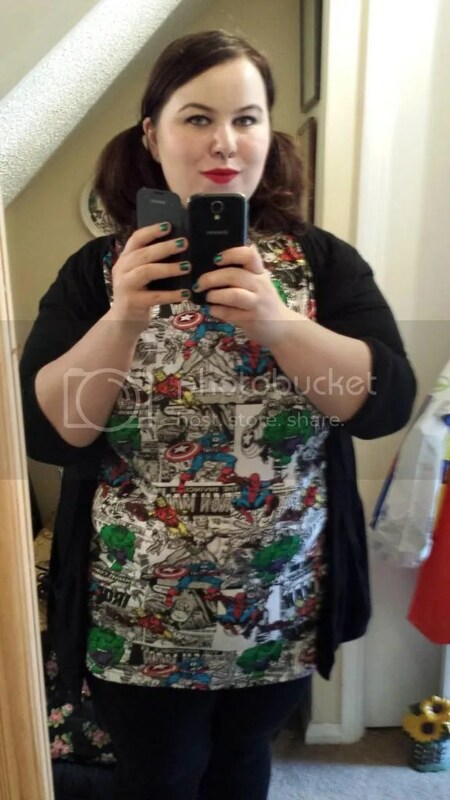 While haulin’ I took my much loved Primark Marvel tunic-dress thing out for a spin. I love this item of clothing so much. It’s so comfy and looks alright on my huge bodaay so that’s all good. Also it was kinda sunny when I was getting dressed so I got my feets out! 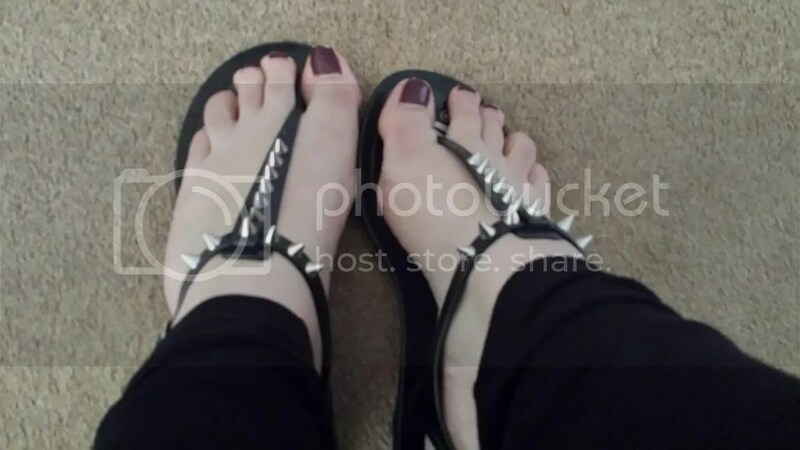 Haha, spiky flip flops is how goths (and relapsed goths) do summer, FYI. My toesies are painted with OPI Skyfall, by the way. Yeah they’re a bit chipped, but I have to wait another fortnight for a pedi so shh. Aaaaaand this is what I bought! I also made a couple of cheeky online purchases, one from MAC (because payday and why not) and one from New Look because, even though I bought some things from there, they didn’t have the sole item I actually went in for so I had to order it on the ol’ interwebs. What you see here from New Look is a lovely black-and-white floral maxi dress. It’s strapless and errything. I tried on about four items and this was the only thing that looked decent but I actually really like it and am considering breaking it out for work, with a kimono or something over the top, when it gets properly sunny. I also bought a plain black vest/dress in New Look too but that’s boring. 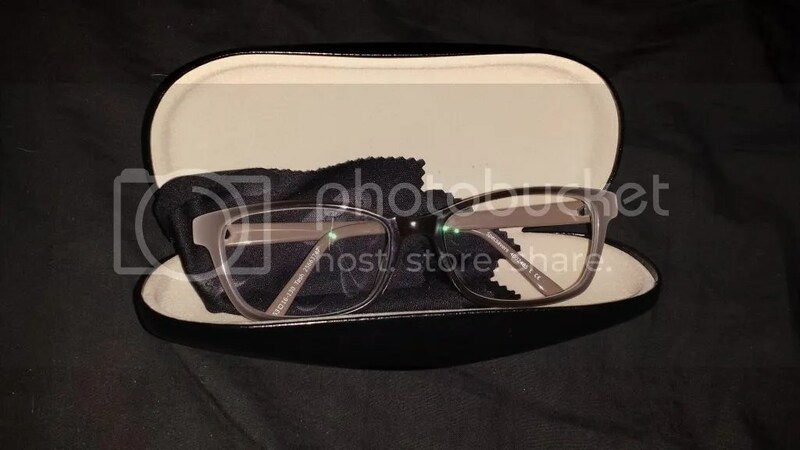 Next are my lovely new glasses from Specsavers, okay I bought them the other day but I picked them up today so that totally counts! Then are my two new Urban Decay purchases which I love and will show you more later. I also picked up some new Yankee Candle products- Vent Sticks for both mine and my dad’s cars, and a little votive jar in the scent Pink Sands. It smells SO good, y’all. Finally, the impulse buy to end all impulse buys- the brand now, until-now unpublished translation of Beowulf by my boy Tolkien. Y’all know I did an MA in Medieval Studies, right? Well Beowulf is kinda my thing and I’m a Tolkienist when it comes to Old English stuff (and let’s be real when it comes to real life too) so this book is like my dream. My ultimate dream. Here are my new specs. Aren’t they beautiful, guys? They’re from Specsavers own £69 range, and they had a deal on when I purchased them. 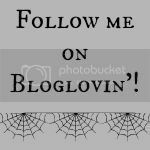 Basically, I could either get two frames for the price of one, or get free anti-reflective, transition, bifocal etc lenses with any pair. So I went for the free anti-reflective lenses, because I already have a few pairs I’m going to hopefully get re-lensed. When I picked these up I was also given a voucher for 50% off another pair so that’s pretty cool! 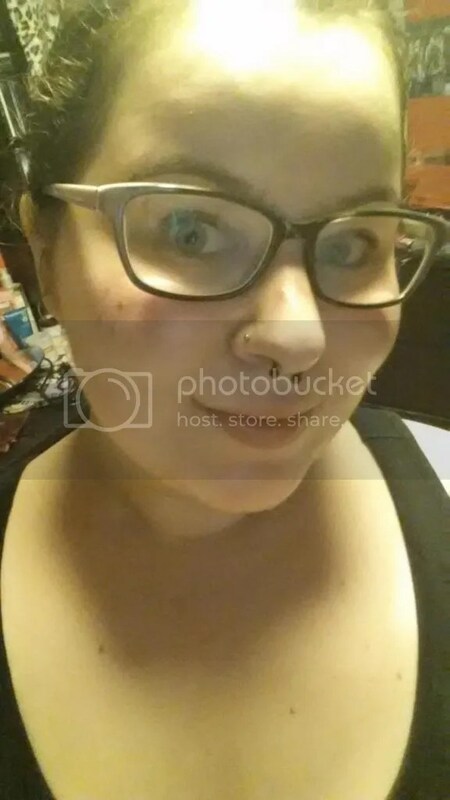 Aaaand here’s a pic of me with no makeup and my pajamas on to show you my new glasses. Swell idea, Hannah! Incidentally, I wore these out of the shop to get used to them- man, is it weird, it’s going to take me a while to adjust apparently- and my mum’s comment was ‘Oh, Hannah, they make you look intellectual.’ Obvs going to wear them all the time now. 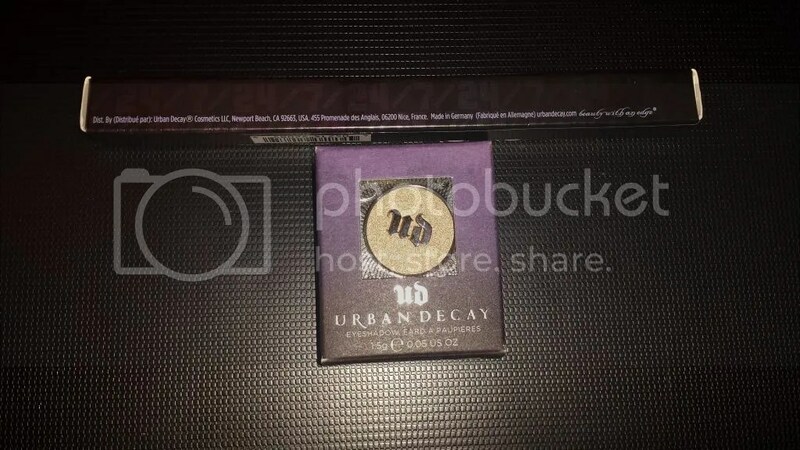 Lastly, here’s some more about my two Urban Decay purchases. 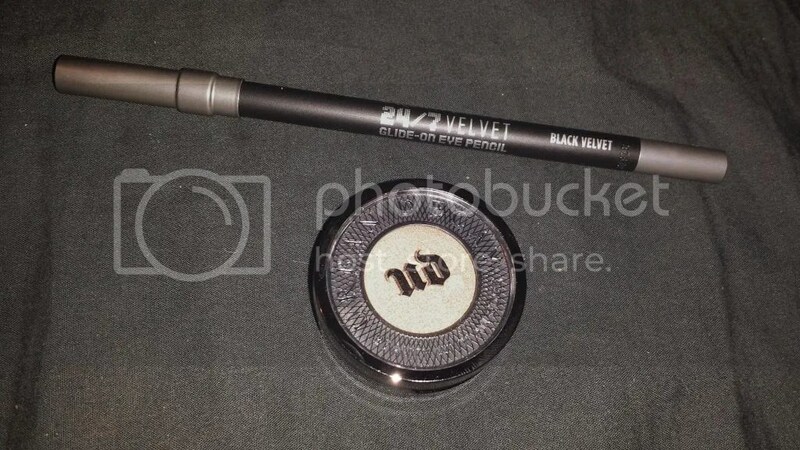 I’ve been after Black Velvet since I saw Christine over on Temptalia swatch the new releases. Not going to lie, the Perversion Super-Saturated Cream Eyeliner is also on my wishlist. However, I definitely had to go with Easy Baked as my second purchase. It’s such a lovely shade, and I think it’ll go so well with my other eyeshadows (both in the Glinda and Theodora palettes, and my MAC shades) for a number of different looks. I LOVE both of these things, guys. Easy Baked is, like all of the other UD shadows I’ve tried, so so buttery soft and pigmented- this was one light sweep of my forefinger. I also showed you Black Velvet smudged out and in a clean line and I love it! 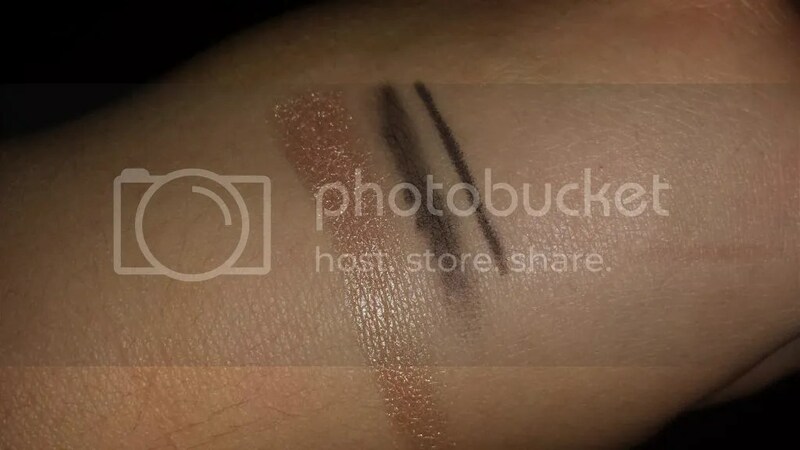 It’s not as intensely black as Perversion or Zero but it’s perfect for smoking out a look and I can imagine it’ll be amazing for my usual feline flick when I can’t be bothered to use liquid or gel. So happy with my purchases! I’ll probably show you my MAC purchases when they come- it’s nowt too interesting, just a lipstick, lipliner and then a pro-palette and insert (oh boy, depotting to come…) but you know I’m a generous person and like to share! 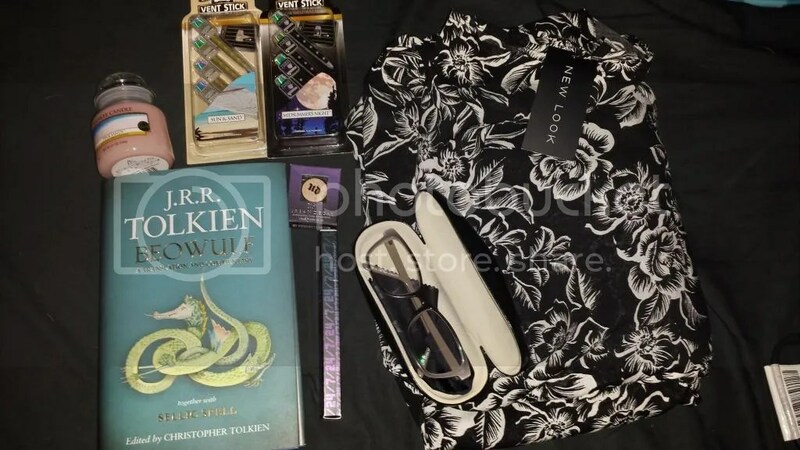 This entry was posted in Beauty, Hair, Makeup, Daily Look, Fashion- High Street and tagged Beowulf, Black Velvet, fashion, Glasses, haul, High Street, New Look, Pink Sands, primark, Shopping, Specsavers, Tolkien, Urban Decay, Vent Sticks, Yankee Candle. Bookmark the permalink.